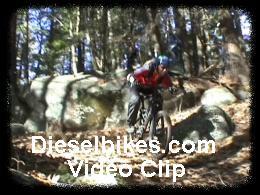 Fort Rock is one of Southern New Hampshire's premiere mountain bike spots. Located off RT 101 in Exeter NH, Fort Rock is comprised of two separate Town Forest totaling nearly 500 acres. Divided down the middle by RT 101, the south side is officially known as Henderson-Swasey Town Forest and the north side is known as Oaklands Town Forest. Both locations have their own parking however the trails are connected by a tunnel which passed under RT 101. Fort Rock offers mountain bikers an extensive network of fast single track with quick heart pounding hill climbs. 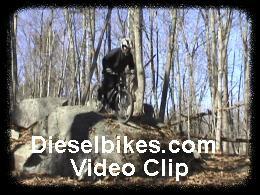 You will find plenty of technical terrain consisting of rock gardens, slippery tree roots and the occasional log ride. In our opinion, Fort Rock is not a big bike location; technical trail features are spread out which will require you to pedal. We believe you will have more fun riding these trails using a hardtail or a short travel (less then 6) full suspension bike. Fort Rock is an ideal place for mountain bikers to relax and have some outdoor fun. 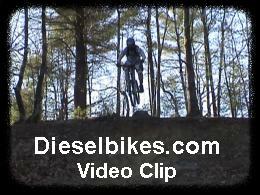 Below are a few video clips of mountain bikers have some fun in Fort Rock.